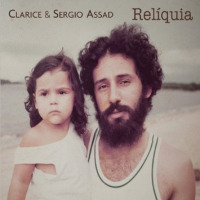 Past and present are entwined in so many beautiful ways on Reliquiathe first collaboration between the father-daughter combination of guitarist Sergio Assad and vocalist Clarice Assad. Together these two trace a backwards course from today's vantage point, exploring their own musical bloodlines and those of their native Brazil. In doing so, they bring together a collection of originals that are timeless in their mode(s) of expression. While there's a certain degree of understatement in much of this material, that shouldn't be misread as a sign of simplicity. This is sophisticated music packaged in easy appeal. 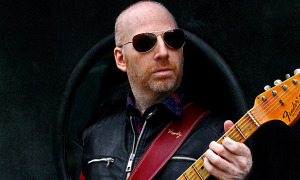 The elder Assad's pristine sound, broad harmonic knowledge, and skillful application of ornamentation mesh beautifully with his daughter's voicea pitch-perfect instrument that covers a tremendous range of expressions. Clarice constantly captivates, whether singing in Portuguese, delivering wordless vocals, or taking to the piano bench, and Sergio, likewise, manages to seduce with his every gesture on guitar. But this isn't just a tale of two. A coterie of guestsclarinetist Derek Bermel, mandolin player Mike Marshall, percussionist Keita Ogawa, bassist Yasushi Nakamura, and vocalist Angela Olintoadd additional layers of beauty and/or propulsion to the project as they come and go. It's easy to simply drift away into the music ("Reliquia") and get caught up in the energy of this union ("Cidade" and "Capoeira"), but it's the deeper meaning here that leaves a lasting impression. There's something incredibly special in the act of hearing Clarice salute her father on one of her originals ("Song For My Father") and hearing Sergio do the same for his father ("Jorginho Do Bandolim") later in the program. And then there's the closer ("Sol De Clave (Treble Clef)"), a piece that bottles the ephemeral and connects it to present day. A decades-old recording snippet of Clarice singing along with her father's guitar leads into that pair's present day sound. It's a testament to the bonds forged through birth and life, continually strengthened in every small and large gesture of love that takes place between a parent and child. Track Listing: Cidade (City); Artistico (Artistic); Reliquia (Relic); Song For My Father; Capoeira; Angela; The Last Song; Estranho Mundo (Strange World); Jorginho Do Bandolim; Ventos (Winds); Sol De Clave (Treble Clef). Personnel: Clarice Assad: vocals, piano; Sergio Assad: guitar, vocals (5); Derek Bermel: clarinet (2); Mike Marshall: mandolin (3); Keita Ogawa: percussion (1, 2, 5); Yasushi Nakamura: acoustic bass (2, 6); Angela Olinto: vocals (5).